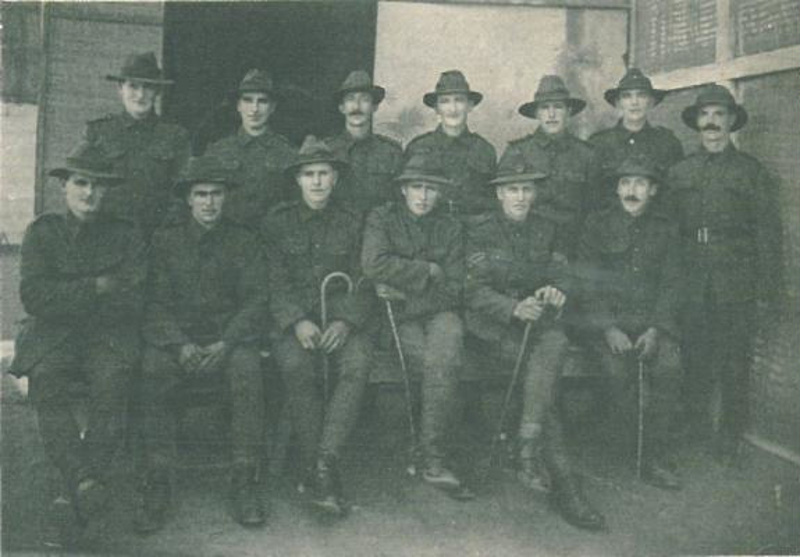 Soldiers in the 1916 war. L to r: Tpr. Rogers (Hawera), J Smith (Inglewood), J Clements (Hawera), G Tozer (Manaia), G Riddick (Auroa), Corp. Patchett (Ohangai), Tpr. Partoon (King Country). Front row, l to r: Tpr. J Dawson (Hawera), J Barkla (Hawera), Sid Tidswell , G Murray (Eltham), Corp. Marsh, Arthur Nicol (Wairarapa).